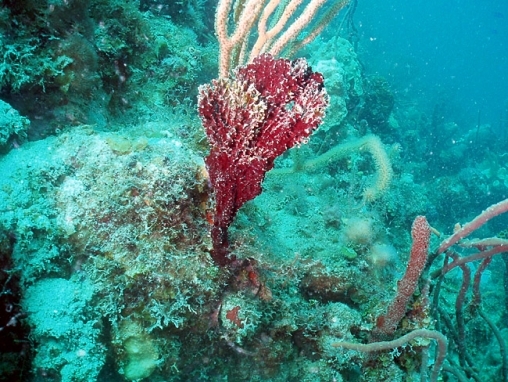 Deep red lobes projecting upwards on a ’stalk’, this sponge always looks black without artificial light. The lobes are composed of clusters of fused tubes, which open mostly at the top. It is rarely more than about 30 - 40 cm tall. 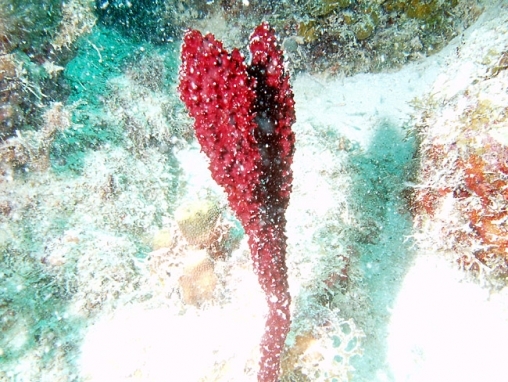 This species has the same very rough surface texture and the same rich red colour as M. laxissima, but is always seen in the form of a lobe, or group of lobes, on a stalk. This is not a variation caused by habitat: it inhabits the same sites as M. laxissima.